Which saints are not known? Allah knows them, and He knows how much they have achieved and how much they are rewarded! And we described through different sessions about their levels and what they have done. Allah (swt) has created His awliyaullah, His saints, and made them on different ranks. And every wali doesn’t cross his limits; he knows where he stands and he is happy with what Allah (swt) gave him. Why don’t they cross their limits? There is a wisdom there. Allah (swt) puts in their hearts that they have reached the top level, the top point, and they feel they are at that highest level. Although they might be in a lower level, to them it looks like the highest level. That is why they keep content and happy, or else there would have been a kind of unaccepted complaint from that wali (saint), that he wants to go to see the rank of the other one. So Allah (swt) hides them from each other and gives them the feeling that they have reached the highest station. That is why you see there are 124,000 walis (saints) and every one thinks he is taking directly from Prophet (s). But in reality they are taking from the one directly above them in rank. And they are all eventually receiving from the Ghawth, the al Fard al Jami’, who brings everyone together. There cannot be two or three who bring everyone together, there can only be one. 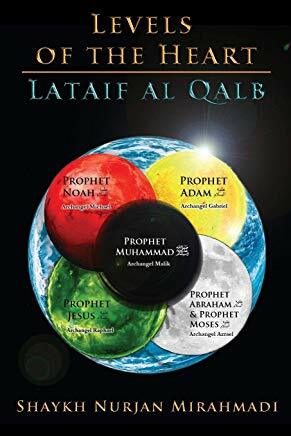 There is the ghawth, and under him are the five qutbs (poles): Qutb, Qutb al Bilad, Qutb al Aqtab, Qutb al Irshad, Qutb al Mutasarrif. And under them are five different (group of) awliya: Budalaa, Nujabaa, Nuqabaa, Awtaad, and Akhyaar. 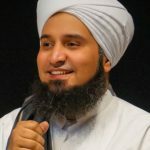 All are taking from Prophet (s) through their connection and their lineage, and we have mentioned that. The only one we have not described is the ghawth. He takes from heart of Prophet (saws) directly. 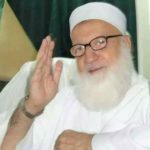 And he is fard ul jamiya al wahid, he is the unique one to whom Allah (swt) gave the power of keeping all awliya (saints) together. 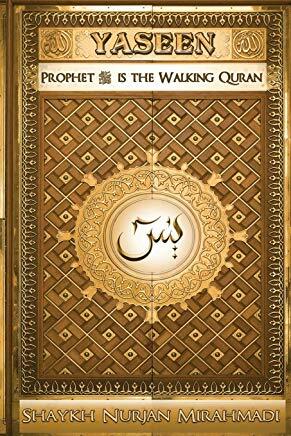 Everything goes back from him to Prophet [Muhammad] (saws). He is the one that Allah looks at seventy thousand times [70,000 X] daily and sends on him manifestations of His Beautiful Names and Attributes, and daily these manifestations change. The ghawth can carry al Noorul Ilahi (Divinely light), the heavenly Light that Allah sends. He can carry all the rest of the ummah and whatever they receive depends on their level, if they can pull it or not. One, he takes from the heart of and carries the secret from the archangel Sayyidina Azraeel (as), who is described as “amadat ul ihsas.” Allah gave him a specialty from the “material of life and feelings”, which is the secret Allah put in every Creation to appear. 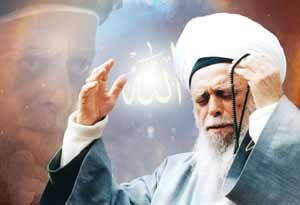 The appearance is in the heart of Sayyidina Israfeel (as) (Archangel Rafael). When he blows the trumpet, He will pull life out from every Creation and they will die. Then another time he will blow the trumpet and give them that sensation of the reality of life, and they come back. The ghawth takes from that knowledge. 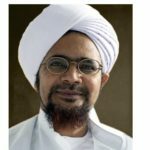 He also takes from Sayyidina Jibreel (as) (Archangel Gabriel), the secret of “the talking self,”; the ability of talking through nasha tun insaaniya. It begins when the child or creature begins talking in his own language that Allah has given him. Human beings have a language they all know, one universal language that Allah (swt) made everyone communicate through. That language is in the reality of Sayyidina Jibreel (as), because he was the one who revealed the message to all prophets in one language that all of them understood. What he gave to Sayyidina Adam (as) was in the same language as what he gave to Sayyidina Ibrahim (as), Sayyidina Nuh (as), Sayyidina Musa (as), Sayyidina `Isa (as), and Sayyidina Muhammad (saws)! It is the language that the heart understands and all human beings know it. A contemporary example is, you have many languages in technology, but all can communicate in the same language. So that is the language that the heart understands, but it is veiled. The ghawth carries that reality. Then he takes from Sayyidina Mikhael (a) (Archangel Michael), because Allah gave him power to shower rain on human beings. Life may come through that. 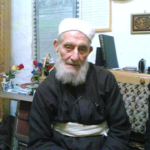 The ghawth knows that secret of life from the heart of Sayyidina Mikhael (as); he takes from that and moves them. And then he takes from Sayyidina Israfeel (as) the power of taking people from life to death; he has the power to bring back people as Allah wishes. He is always looking when Allah will order him to go and take the souls of people. It means that ghawth takes the bad characters from people and gives them good characters on their hearts without you knowing that he is doing that, by the secret that Sayyidina Azraeel (as) is carrying in his heart. These are the specific functions of al-ghawthiyatu ‘l-kubra, the greatest qutbiya, also known as ghawthiya qutbiya. Ghawth means “yugheeth,” who gives madad and support. 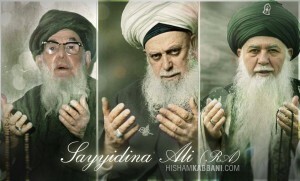 He is carrying from these four angels and taking from the heart of Sayyidina Muhammad (saws). He is the one who is able to take whatever he needs for his job. And that is not a normal job, it is a heavenly reality that has been thrown in the heart of that ghawth. Ghawth has lahu imaman (two imams) or two helpers, one on the right, one on the left. The one on the right is always looking at what is needed to get from heavenly powers, and he is the center of receiving heavenly and spiritual support. And the one who is on his left looks at all Creation and supports them with heavenly sources directly. He is responsible for everything that Allah created, to send to them power so they will be feeling their existence on Earth. If that wali (saint) pulls out, everything will faint and fall down; there will be no power! These two imams have eight characteristics: four are zahir (apparent) and four are batin (hidden). The apparent characteristics are: they are az zuhad (ascetics); they are dhul war’a, always active in doing good things and doing what Allah (swt) likes; wal amr bil m’aruf, wan nahiy ‘anil munkar, they call people for good, and prohibit them from doing wrong. But their hidden knowledge, that they don’t reveal, is as sidq, they keep their covenant with Allah (swt), and they don’t change, they stay on their promise. They have ikhlaas (sincerity), hayaa (shyness), and they are always in muraqabah (meditation). Wan nahiy ‘anil munkar – Prohibit them from doing wrong. That group of awliyaullah who are under the ghawth are five qutbs (poles) that Allah (swt) established in dunya to attract as many people as possible through their travels. They have power to travel through spiritual dimensions and they have power to travel through Earth. They can move through heavenly and earthly power and according to hikmah (wisdom) of Allah (swt), they follow these two ways. Allah (swt) has made their hearts the place in which they can see His secret, wa atla’tahum ‘alaa shams asrarahum. In every secret there is a sun shining and every secret has been given to one of them. You cannot get the same secret the other one has, or else it is not a secret. Allah (swt) gave each one a certain secret he has to follow in order to reach iradatullah (Allah’s Will). Allah (swt) made their souls holy and He made their bodies heavenly. 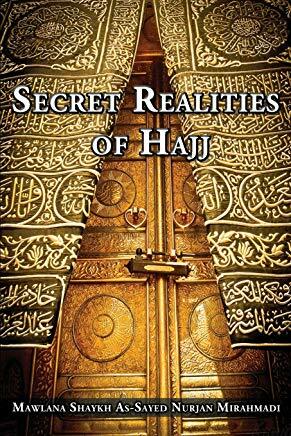 These awliyaullah have a pure heavenly, subtle body so that they are able to receive these secrets from the Heavens. And they have an earthly body through which they deliver the message that Allah is sending to them through Prophet Muhammad (saws). Allah (swt) gave those five qutbs, with the ghawth, who is the sixth at the top of them, the ability to mine. When you are searching for diamonds, you mine. You might go underground three-hundred feet or three-thousand feet to find diamonds. Allah (swt) gave them that power of mining in the hearts of people, to take away what is bad and evil and to put inside what is good. Don’t underestimate the power of a wali. They are able to reach from anywhere to anyone, but they prefer to show mostly their physical appearance, to see more people in need for support, and they support them. Allah (swt) gave them Quwwat al Mujahadah (the Power of Struggling), by putting Shaytan down and putting haqq (truth) in the hearts of people. Their lives are a struggle. They do not just sit, like many people who are lazy and their concern is only for this life, with no concern for the other life. Allah (swt) has put in the hearts of these five qutbs the Power to Struggle, to fight against Shaytan, to remove baatil (falsehood) and to put haqq (truth) in the hearts of people, and they can do this with the power of their eyes. 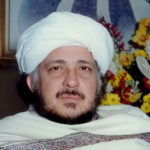 Sayyidina Ahmad al-Badawi (q) covered his eyes because anyone looking into his eyes fainted, when he reached the highest level possible. Because he was asking for that key and that qutb disappeared. Finally, Ahmad al Badawi (q) was hearing a voice coming to his heart, saying, “Yaa Ahmad! If you want that key, My key is with that qutb. 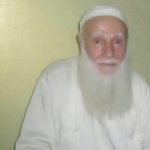 Go find him.” And he went for six months looking for that qutb and he didn’t find him. That qutb didn’t appear; he was near him but Ahmad al-Badawi was not seeing him. That qutb didn’t give him his key; instead he took all Ahmad al-Badawi’s knowledge, because it was based on his ego. These aqtab are highest in their levels. We won’t elaborate that now; we will go through something else inshaAllah, but they are the highest of awliya, and when one goes his seat has to be filled immediately; it cannot remain empty. The eyes of their hearts, the eyes of their head, their attention, they are always looking at the ghawth. 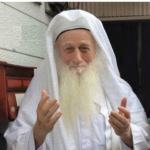 They take their daily assignments from him and he connects everyone to him, and he is taking orders from Prophet (saws). They are looking at the qutb’s order, to execute it. Allah (swt) made them Ahlul Fadl (the People of Favor), and Allah favors His servants. Therefore, they have to reach and share those heavenly favors with everyone. All awliya come under the ghawth, who inherits from the heart of Prophet (s). 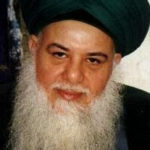 His button is huge, and under him are the five qutbs, and under them are five groups of awliyaullah. We mentioned the five qutbs: Qutb, Qutb al-Bilaad, Qutb al-Mutasarrif, Qutb al-Irshaad, and Qutb al-Aqtaab. And under each one of these aqtab, there are the five different groups of awliya; Budalaa, Nujabaa, Nuqabaa, Awtaad, and Akhyaar. And under them, there might be up to 70,000 awliya. Under each qutb there is a head of each group; head of Budalaa, head of Nujabaa, head of Nuqabaa, head of Awtaad, and head of Akhyaar. And under each of them come 70,000 awliyaa that are spread out, and all have power buttons. Some have more, some have less. They have prepared themselves, they have that power. So there is the Ghawth, five qutbs and under the five qutbs are five different groups. Who are “al Abdal” Saints? 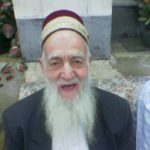 Who are “al Budala” Saints? First of them is “Budala,” whom Allah (swt) made Ahlul Fadl and He made them so generous. They have to give to everyone, and they don’t ask (about the state of that person); whether someone is saying the truth or not, they give fee saabilillah (in Allah’s Way). They are always on istiqaamah (the Right Path). If you see something from them that you don’t understand, don’t object or you will lose, because they might do something your mind may not accept. But they know there is wisdom in it and their goals are there, because they are always on istiqaamah, the Right Path, so they know. You might not always be on the Right Path; you might be on the diversion or the exit. The highway is straight and there are many exits. If you exit, you are not on the highway anymore. You cannot see what awliyaullah are seeing. You are exiting, maybe on the first or the second or the third exit. Awliyaaullah don’t exit. They stay on the straight highway, the Straight Path, Siraatul Mustaqeem. So when you exit, you are looking from far away, and you might not see what the wali (saint) on the highway is seeing. Don’t try to balance what the wali knows to your mind. Because Allah made these Abdal to save themselves from imaginations, khayaal. Takhallaso minal khayalaat, “They freed themselves from imagination.” We normal people are full of imagination, like in the desert you see a mirage and you think you see an oasis of water, but you run and then you don’t see anything. This is wahm , khayaal (imagination). A wali will see there is nothing there. That is why you need a guide; you cannot be alone. Allah (swt) gave them four different assignments that are physical and four hidden ones that are spiritual. The first physical one the Abdaal have is to keep quiet; they don’t talk. It is like what Sayyidina Ali (q) said. “To save yourself (from sin), first is not to talk, as-samt.” When you talk you begin to show you know nothing. What is not to talk? It is not only not to talk to people, but to make your heart not to talk against people by throwing them with soow al khaatir (bad thoughts). It means not only through your tongue, but samt has to be through your tongue and your heart. How much do we accuse people through our hearts and speak badly about them? Always these shaytanic gossips come to our hearts or our minds, and we begin to say things that are not good in the haqq al aakhireen (the rights of others). So Allah (swt) gave the abdal the physical power to keep quiet and that is why you don’t know them. They might be in your physical presence but you don’t know them, it might be they come in the appearance of a man you know or you don’t know, and they keep quite. And Second, Allah gave them power of sahr, to stay up all night, not to sleep. Can you stay up all night? (to someone in the assembly) You, mashaa-Allah, sleep during the day and at night! (laughter) It is not only physical sleep that Allah gave them not to sleep, but also their hearts do not sleep; their hearts are always after people. Where is the jungle? Everywhere is a jungle; it is not necessary to be in a real jungle. To be around people is a jungle, to be in gatherings is a jungle. Because when you have people with different beliefs, minds, actions, behaviors, with different ideas, it is a jungle of bad, low desires. Allah (swt) gave these Abdal power to go everywhere, because everywhere is a jungle. Today there is no place pure on this dunya. You find Bayt al Haraam (Kabah sharif) in Mecca is pure, and in Madinah (Rest place of Prophet Muhammad (saws) it is pure, and in Masjid al Aqsa it is pure, and in Sham (Damascus) it is pure. Allah (swt) gave us these. But still, even in these pure places today people are not behaving correctly. It is a jungle so they need awliyaaullah, Abdaal to reach them. They are taking orders from qutbs and they do that. “Go here, go there, appear in this place and appear in that place.” Sometimes they use normal, physical means and sometimes they use spiritual means. They don’t like to show karamah (miracles), they want to show normality to everyone. And Allah (swt) gave them the power of sahr `ala raahat an naas. If a baby is sick in the hospital, you stay with her all night. They look after everyone through their spiritual means in order to lift up that one who is losing his faith or losing his duties during the day. They reach him and they don’t differentiate from one to another, as they have orders to reach everyone in need. Always, if there is food they eat and if there is no food, they don’t care, they don’t eat. Al jo` is one of their characteristics, hunger. They want to feel with everyone, that there are poor people with no food, to sympathize with them, they do not eat. And this I saw in (Grandshaykh Abdullah Daghestani (q) and in Mawlana Shaykh Nazim (q); they don’t eat, but we run to fill our stomachs and graze. They always seclude themselves. They have this characteristic of being away from people. When they need to appear, they appear, but otherwise they seclude themselves. So they carry these characteristics, especially as-samt, which is to keep quiet. Their speech is only dhikrullah. (remembrance of Allah). You see always Allah’s Name on their tongue, either Allah Allah, or laa ilaaha illallah, or salawat (praising) on Prophet (saws). They don’t sleep because they are busy during the nights reaching people when everyone is sleeping. And also, the spiritual meaning of sleeping is ghaflah (to be heedless), and they don’t allow themselves to be heedless. They are always looking at the the five qutbs, and the five qutbs are always looking at at the ghawth, and the ghawth is always looking at Prophet (s). These are characteristics of Abdaal that are very necessary to understand how awliyaullah interact and react. Some people like stories and some like something else, but since we entered in this ocean, we have to finish it. 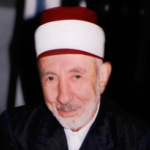 Wa min khawaas al-abdaal man safara mina ‘l-qawmi mawd`eehi wa man taraka jasadan `alaa suratih. And from the characteristics that Allah (swt) gave them is that from the inner circle of Abdal, as the Abdal are of different number–some ahadith say forty, some say seven–from the highest level of Abdal, is that they travel from their places, leaving behind their bodies, and take out from their bodies another copy. And they go around dunya looking for people that need help and they help them. That is why when you see a wali that it looks like they are sleeping, their soul left their body. And when they are sleeping, don’t wake them up, otherwise you will make a mistake, unless they instruct you, “Wake us up at that moment.” That means you are calling them back. When they tell you, “Wake us up,” it means, “Call us back.” Then you are like an alarm for them, but if they don’t say anything to you, don’t wake them up. If they say, “Do this,” do it. “Don’t do this,” don’t do it. Then you will be successful. 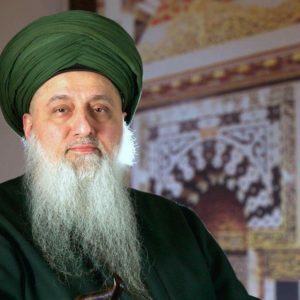 Who are “al Nujaba” Saints? Then are “al-Nujaba,” they are from 40 to 70 in number. Budala support people in their fears or difficulties, and grant things to them in dunya (material world) matters, while Nujaba do things for their akhirah (here after) matters. Their work is to carry all the heaviness of bad character, asqalal ‘ibaad, the burdens of people. They don’t look anywhere except at the Divine Presence, through the five qutbs, to the ghawth, and then to Prophet (saws). Their orders come from there directly. They are well known for kathratul ‘ibaadah, they are always in worship. And they are always in muhasaba (taking an account) and tafakkur (contemplation). Analyzing the accounts of human beings; if low, they recite salawaat and give that to the human being. That is why human being’s level rises up, and instead of remaining negative it becomes positive. If they see someone falling down on the negative side, they push them to the positive side. It is their job to keep everyone on the positive side and they don’t allow anyone to go negative. 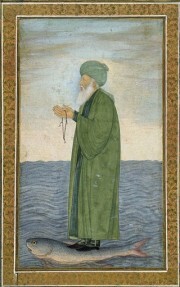 One of their characters is at tafakkur (contemplation), they remain in concentration. They do not give an ear to this dunya (material world). They are always perfect. Who are “Al Nuqaba” (Chiefs) Saints? Then are the Nuqaba. Allah (swt) gave them a different power, that they are able to reach human beings without saying anything. They keep quiet, they don’t talk except through their hearts. That is why awliyaullah have one or two hours in meditation, because the strength of the heart is more than the strength of the tongue. Nuqaba keep themselves hungry and their stomachs are always grumbling; that keeps them awake. They are in complete `uzlah, they seclude themselves. 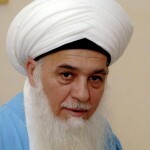 They have their own imaam who leads them to the presence of Prophet (s). 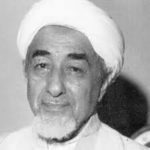 They are qad tahaqaqu bi `ism al baatin, certain about what is hidden, and ashrafu bi batin an naas, able to observe what is hidden in people, and fastakhrajo kashayif ad damayir, they extract the hidden aspects of the subconscious mind. For them all veils are taken away. Today we see that with psychiatrists; you begin to speak to them and they ask you questions and through your answers they analyze your problems. Nuqaba don’t need that as they go directly to the subconscious and to the heart, and pull that out of the heart. So to pull all that from people, the psychiatrists need psychiatrists! So don’t go to psychiatrists, go to Nuqaba. With Allah’s support, they know what is hidden and by that the people are cured, as Nuqaba are not veiled and can see. The hidden aspects of of the subconscious have three characteristics. 1. First is an nufos al`aliyah fa hiya haqaaiqul amriya, the highest level of the subconscious. When you are in a good way, you establish that high level in the subconscious and that is the certainty and reality of heavenly orders. Their eyes are on that, as it is highest level and they will come to heavenly orders. In everyday, there are 24 hours and all information is written in the Preserved Tablets. Whatever you have to do is written there, and they can see that. For everyone else that is veiled, but for them it is not veiled and they pass it to you. Then you can get this information to your heart, or your shaykh keeps it for you. That is nufos al`aliyah. 2. The second characteristic is nufosun sufliyah, the subconscious that is connected with evil, it is the lowest of realities. First is positive and second is connected to Iblees and Shaytan, and all that is connected to the subconscious, the inner lower conscious where all these bad gossips come to the heart. 3. The third characteristic is nufus al wasatiya, the reality of human nature. It is in the middle level. In all the three levels, Allah (swt) has put a chip or implanted there all heavenly secrets that concern that person. These heavenly secrets are 360. Why 360 secrets? Because in the body there are 360 points that you can press and activate and every point has its secret. And every point on human beings or creatures has a pressure button to activate a certain language to know what is needed in 24 hours. So these awliya (saints) are able to get that information. And if you are on the right path with your awrad (daily practices), then this information is sent to you by awliya. 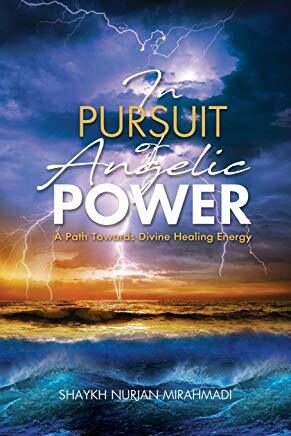 Then, if your power is strong, the power of these points is sent to you as inspiration. If you are not on the right path, then nafs as sufliyah will be activated, giving you bad information. If you drop both of them, then you activate an nafs al`ulwiya; that higher self that is always there in presence of Prophet (s), in the Divine Presence. If you are able to connect to all three, these veils will be taken. If you are unable [to do so], then Nuqaba will bring these matters to you. 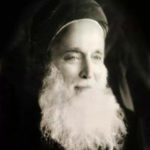 Who are the “Al Awtad” Saints? “Al Awtad” are not too many: they are four in the east, four in the west, four in the south, four in the north. Awtad are like, when you want stabilize a tent, you secure it with tent pegs or stakes. The tent has four sides, so you have four stakes. Awtad are the stakes of this world; they are the poles that keep everything strong in east and west and in north and south. They are responsible for every group in those four areas, north, south, east and west. Allah gave them eight different actions they have to do. The last fourth apparent action is, they are always in istighfar (asking for forgiveness) when people are sleeping. That is what we can see from them. What we cannot see are their hidden actions. They are always in taslimiyah (perfect submission). Then you have whatever we have described, through these lectures are many of their characters also. Who are “Al Akhyar” Saints? “Al Akhyar” are the last type of awliya, and are those who have been honored, picked up, and selected. Not everyone can be from that group and it is very limited. Akhyaar are directly under the five qutbs and they are akmal ahlul ard, “the most perfect of the people of Earth.” You see no difference from their physical appearance and their hidden appearance; they have balanced them. You see them as normal people. They don’t have beads in their hands (to indicate piety). They go here and there, and people say they are not awliya (saints), so why are they going there? They go for a certain reason, which you don’t know. They act normal, but they are the most perfect of the people of Earth. They never let the right hand to know what left is doing and they never put in their hearts to do any bad action or take revenge. They have no bad intent and always take everything with good intent. They know you are Allah’s servant and they cannot criticize Allah’s servants, they have to cover them. Their arteries are saturated with the taste of sincerity. They have no other taste, but the taste of sincerity throughout their physical and spiritual bodies. And they have love to everyone and no criticism. They don’t like anyone to know about them. They move through the ummah (nation) wearing what normal people wear; they don’t say, “We need a jubba;” they wear normal clothes. Physically and spiritually, they look like us, so trust them! They look normal, if they look different then you will know them. In the Name of Allah, the All-Merciful, the All-Compassionate. Peace be upon you, O men of the Unseen! . 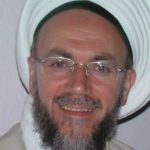 As salamu ‘alaykum ya ayu hal arwahul muta qaddasa. Peace be upon you, O sanctified spirits! O presidents, O noblemen, O overseers, O spiritual deputies! O mainstays of the earth, four mainstays! O two leaders! O Cardinal Pole! O matchless individual! O trustees ! May Allah(swt) grant you peace in this world & the Hereafter. O Allah, bestow blessings upon al Khidr (as)!